Antique mahogany bookcase circa 1860. A very good quality tall impressive antique bookcase in excellent original condition and patina. Featuring a full length drawer and 2 flame mahogany doors to base section, providing great storage. Top section has two glass doors with original old glass, adjustable shelving. Soft cornered construction and well proportioned. 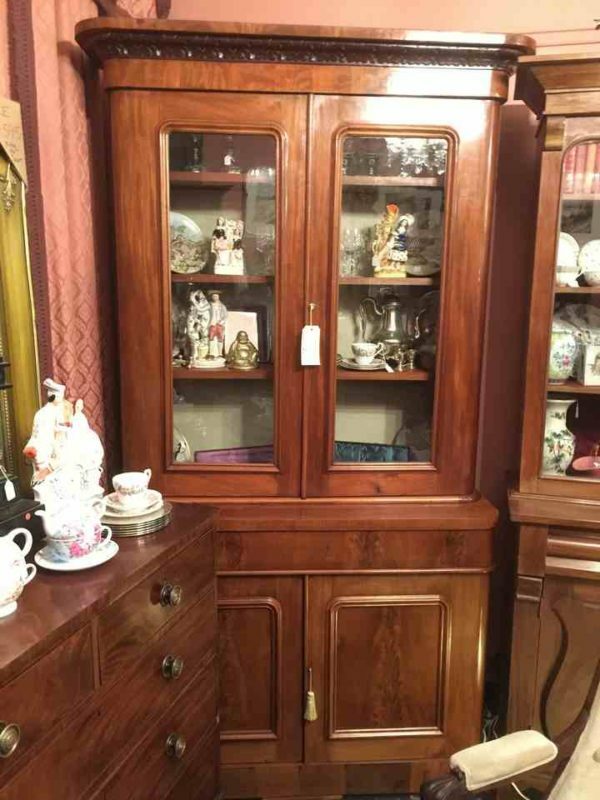 Antique furniture at Melbourne’s best value for money antique shop.